The MEDTEC China 2013 exhibition held in September at the Shanghai World Expo Exhibition & Convention Center concluded with 7,987 pre-registered and paid attendees on the show floor. About 70% of the 220 companies from 25 countries and regions exhibiting at the 2013 edition recommitted on the spot to a presence at the 2014 edition, the organizer says. Besides, according to the organizer UBM Canon, a show floor survey returned the findings: 85% of exhibitors were satisfied overall with the exhibition, 88% of visitors would recommend the exhibition to industry peers and 91% of visitors said they would attend the 2014 exhibition.. In addition, 55% of attendees said their primary job function was R&D design or manufacturing, while 18% cited their primary roles as procurement, project engineering or quality assurance for a combined 73%. Furthermore, 10% of show visitors hailed from outside of China, reflecting an increasingly international hue for the show, the organizer adds. Highlights of the exhibition included the 3D printing zone and Medical Device Excellence Awards (MDEA). Visitors were also invited to vote for their top three favorite product designs from among the MDEA winners. The top three were the AccuVein AV400 vein illumination system, the Sonicision Cordless Ultrasonic Dissection System and the GORE Septal Occluder. 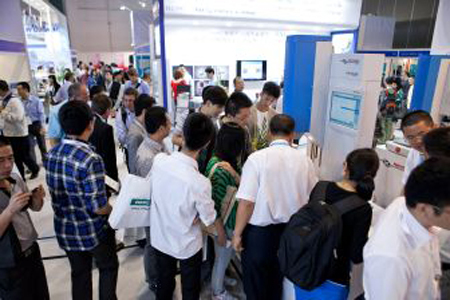 The 2014 edition of MEDTEC China will be held on September 25-26 at the Shanghai World Expo Exhibition & Convention Center.